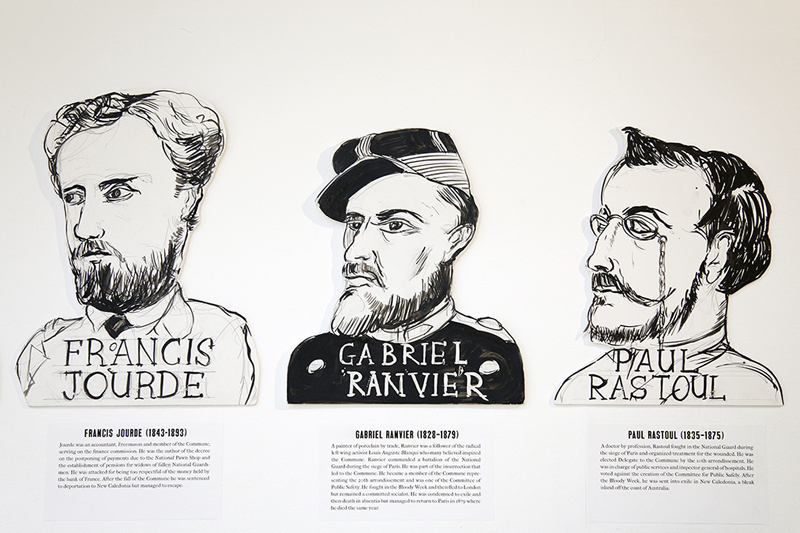 The Days of the Commune can be exhibited as a gallery installation. In addition to a film of the play, you will see, props, posters, costumes. Each of these objects has a story to tell. In addition there are a series of documentary drawings from the Occupy Wall Street encampment in Zuccotti Park in the fall of 2011. This was when the project really began. I started thinking back to a time when drawing was really important, to Manet and Courbet drawing the events of the Paris Commune.